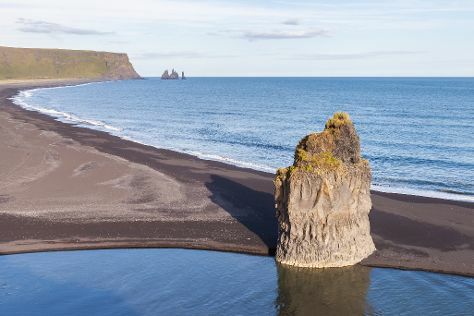 Start off your visit on the 17th (Fri): enjoy the sand and surf at Reynisfjara Beach, take in the dramatic natural features at Dyrholaey, and then admire the sheer force of Skogafoss. Here are some ideas for day two: take an in-depth tour of Skogasafn, explore the ancient world of Rutshellir Cave, explore the striking landscape at Myrdalsjokull Glacier, then kick back and relax at Black Sand Beach, and finally appreciate the history behind Voyages Friendship Statue. To see traveler tips, maps, and other tourist information, refer to the Vik online itinerary creator. Manchester, UK to Vik is an approximately 10.5-hour combination of flight and bus. Wrap up your sightseeing on the 19th (Sun) to allow time to drive to Reykjavik. Reykjavik Open Air Museum and Strandarkirkja will appeal to history buffs. Discover out-of-the-way places like Laugavegur and Grotta Lighthouse. 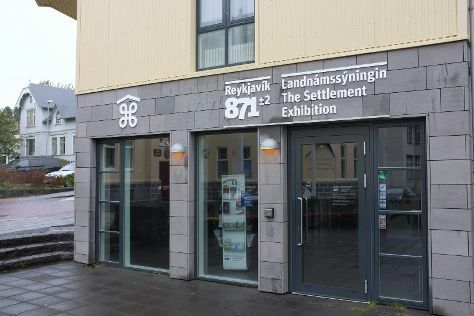 There's still lots to do: see the interesting displays at The Settlement Exhibition, take an in-depth tour of Saga Museum, pause for some serene contemplation at Frikirkjan i Reykjavik, and explore the world behind art at Einar Jonsson Museum (Listasafn Einars Jonssonar). To see other places to visit, more things to do, and other tourist information, you can read our Reykjavik trip builder. Traveling by car from Vik to Reykjavik takes 2.5 hours. Alternatively, you can take a bus. In February in Reykjavik, expect temperatures between 4°C during the day and -1°C at night. Wrap up your sightseeing on the 21st (Tue) to allow time to travel back home.